3 YRS Yongjia Yiben Machinery Co., Ltd.
3 YRS Taizhou Fuke Electromechanical Co., Ltd.
[ A dvantages 2 T hree story pagoda outlet ] Industrial plastic t hree story pagoda outlet, the maximum oil flow is 40l/min and the maximum head is 5m. [Advantages 3 D etachable filter design ] The bottom filter is equipped with a threaded interface for easy disassemb le , maintenance and replacement, which can achieve the purpose of repeated use. Company Profile 1. 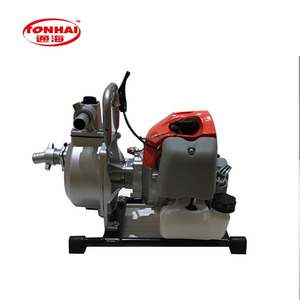 Are you factory or trading company9 we are factory covering producing casing of water pumps, processing and assembling of water pumps. 7 YRS Zhejiang Koeo Petroleum Machinery Co., Ltd.
------------------------------------------------------------------------------------------------------------- 3. How long is the production time9 A: It depends on your quantity, usually 3-7 days. ------------------------------------------------------------------------------------------------------------- 4. I only need 10pcs, not your MOQ 50pcs, is this workable9 A: Sure, talk to me, lets work it out together. ------------------------------------------------------------------------------------------------------------- 5. What kind of certificates you have9 A: CE, ISO approved. 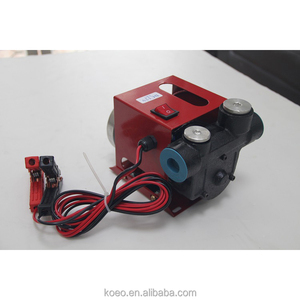 4 YRS Zhejiang Tonghai Power Machine Co., Ltd.
1 YRS Ningbo Chunyi Electrical Appliance Co., Ltd.
3.The pump is strictly prohibited pumping gasoline, alcohol and other flammable liquids. 4.The water hose is self-provided. 5.Don't make change the anode and cathode of battery clamp when clip the barrery. 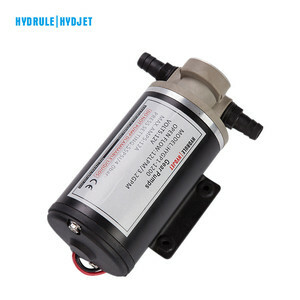 9 YRS China Yangzhou Guo Tai Co., Ltd.
W 23/24KGS Carton Size 59 x 52 x 21cm Applications Diesel,Kerosene Diesel Fuel Oil Transfer Pump - 175W 45L/Min 12V/24V Art No DC 12v/24v 175W 45L/Min Certificate CE Voltage DC 12V/24V Power 175W Inlet/Outlet Dia 25mm/25mm Impeller Shaft Cast Iron Flow 45L/Min Suction/Lift 3m/7m Packing 1SET/BOX,6SET/CTN N.W/G. W 23/24KGS Carton Size 59 x 52 x 21cm Applications Diesel,Kerosene Diesel Fuel Oil Transfer Pump - 30L/Min 150W DC 12V/24V Art No DC 12V/24V 150W 30L/Min Certificate CE Voltage DC 12V/24V Power 150W Inlet/Outlet Dia 25mm/25mm Impeller Shaft No. W 21/22KGS Carton Size 59 x 52 x 21cm Applications Diesel,Kerosene 12V/24V Diesel Fuel Oil Transfer Pump - 120W 30L/Min Art No DC 12V/24V 120W 30L/Min Certificate CE Voltage DC 12V/24V Power 120W Inlet/Outlet Dia 19mm/19mm Impeller Shaft Rubber Flow 30L/Min Suction/Lift 2m/3m Packing 1SET/BOX,8SET/CTN N.W/G. 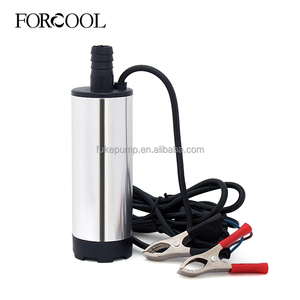 5 YRS Anhui Ruiling Meter Manufacturing Co., Ltd.
7 YRS Wenzhou Chengding Petroleum Machinery Co., Ltd.
8 YRS Yongjia Aocheng Hardware Co., Ltd.
Dc 12V Voltage Magnetic Diesel Oil Fuel Gear Pump Product Overviews Product Model GP Gear Pump Motor Type DC Motor Voltage 12V 24V Max Current 0.5-1.2A Max Flow 1-2L/MIN Pressure High Pressure Cover Customized Life Time 3000-5000 hours Certificate CE,RoHS, ISO9001 Application Household Appliance,Electron&Electric Appliance, Environment, etc Remarks: The technical parameters above in only for your reference. 1. 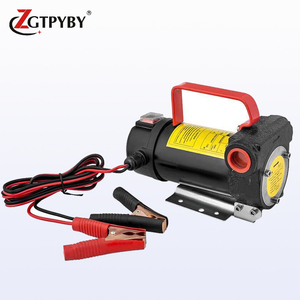 Brushless motor with long lifetime more than 3000 hours; 2. Low noise: &le;50dB; 3. Continuous operation: The pump can sustain heavy duty work for a day; 4. Compact design, It has good waterproof; 5. Low power consumption, high efficient-save on operating cost; 6. Small and Light-weight, Installation is very simple; 7. Wide application; 8. Perfect for indoor or outdoor use; 9. It can be customized according to customer's technical requirements. Applications Customized Solutions Favorable Comments GP Pump has been a sophisticated designer and manufacturer of topnotch custom various custom micro pump and components, including DC pump, Brushless Pump, Diaphragm Pump, Water Pump, Booster Pump, Circulation Pump, Gear Pump, and Pump Motors in the industry since 1991. All of our custom electric pumps are engineered and manufactured in our 120,000 square foot state-of-the- art manufacturing plant located in Ningbo, Zhejiang. 1 YRS Yangzhou LiGao Tool Co., Ltd.
3 YRS Jinhua Mingou Garden Machine Co., Ltd.
We try our best to offer the best quality products and excellent service to our customers. 3.As for design,we can provide the base design of your product,if you can not make it. 5.When the sample is approved,then let us start the mass production. 2G series twin screw pump is mainly used to transport fluids containing trace impurities, non corrosive oils and similar oils. Product industry application Metallurgy: In the lubrication system, Fuel injection system, Transport of thin oil, Medium tea, Heavy duty industrial gear oil, No. Petroleum: Transport of light heavy crude oil, mixed transportation of oil and gas. 3 YRS Wenzhou Bada Machine Co., Ltd. Detailed Images Other products Are you factory or trader9 We are a factory, Since 1996 year. Where is your Location 9 We located in wenzhou city of China,10 minutes to Air visit. How do you control quality9 We do 100% test each products before shipping. 8 YRS Yongjia Yuanheng Machine Co., Ltd.
2 YRS Hebei Shenhai Electrical Appliances Co., Ltd.
4 YRS Hunan Landwolf Engineering Machinery Co., Ltd.
3 YRS Yongjia Aocheng Import And Export Co., Ltd. This pump is designed for all kinds of machinery, tractor and farm equipment. Our oil pump is through the strict aseismatic anti-scar performance tests. Pump is only working with diesel oil and oil with similar specs. 5 YRS Ningbo Aibolift Machinery Co., Ltd.
11 YRS Shanghai Cowell Machinery Co., Ltd.
7 YRS Yongkang Rider Industry And Trade Co., Ltd. It's of great self-sucking strength and swift fueling. The rotating blade is made of powder metallurgy steel, it's more durable then common steel material. 3/4" inlet and outlet kirsite fitting and stainless steel filter for cleaning. 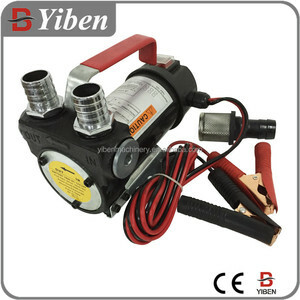 Alibaba.com offers 8,784 dc diesel pumps products. About 82% of these are pumps, 1% are other service equipment. A wide variety of dc diesel pumps options are available to you, such as water, oil, and air pump. 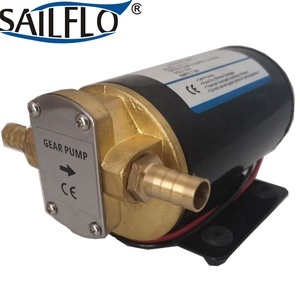 You can also choose from single-stage pump, gear pump, and piston pump. As well as from electric, hydraulic, and pneumatic. And whether dc diesel pumps is low pressure, or high pressure. There are 8,784 dc diesel pumps suppliers, mainly located in Asia. The top supplying country is China (Mainland), which supply 100% of dc diesel pumps respectively. 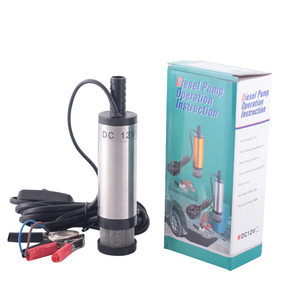 Dc diesel pumps products are most popular in Southeast Asia, North America, and Domestic Market. You can ensure product safety by selecting from certified suppliers, including 4,011 with ISO9001, 1,771 with Other, and 103 with ISO14001 certification.